In the grotesque bell-ringer Quasimodo, Victor Hugo created one of the most vivid characters in classic fiction. Quasimodo's doomed love for the beautiful gypsy girl Esmerelda is an example of the traditional love theme of beauty and the beast. Yet, set against the massive background of Notre Dame de Paris and interwoven with the sacred and secular life of medieval France, it takes on a larger perspective. 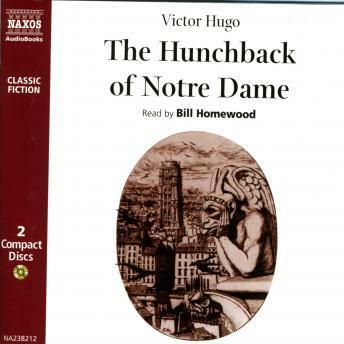 The characters come to life: the poet Gringoire, the tormented priest Claude Frollo, the upright, fun-loving captain Phoebus and above all Quasimodo and Esmerelda themselves. It is a tale peppered with humour but fuelled by the anguish which unfolds beneath the bells of the great cathedral of Paris.